Never let it be said that Microsoft doesn't wring the most out of a partnership. That's certainly the case in its recent odd-couple engagements, hosting Oracle and Salesforce software on Microsoft Azure. Microsoft's teamup with Dropbox looks a lot like another pairing in the same vein. Both Microsoft and Dropbox customers can savor the deal, but once again Microsoft ends up with the better long-term bargain -- in this case, giving Office users incentive to move to Office 365. The outlines of the deal are simple enough: Microsoft is adding Dropbox connectivity to the mobile editions of Office 365, so users of Word, Excel, and PowerPoint can edit those files directly from within Dropbox's interface. Dropbox is also tapped to build an app for the mobile editions of Windows, which in theory will be ready when the next version of Windows launches. The pair-up makes sense on the face of it, since most Office/Dropbox users store Office documents in Dropbox, and Dropbox and Office 365 are complementary -- not competitive -- products. That said, Microsoft's OneDrive is a Dropbox competitor, so why would Microsoft pair up with a competitor? True, the company has been taking steps to make OneDrive more competitive on its own terms. But the real answer probably lies in Microsoft's drive to convert its Office user base to the new, more lucrative subscription model. The size of the Office base is staggering -- 1.2 billion users, allegedly -- but many are still using older editions of the program that generate little or no revenue for Microsoft. Anything that can nudge those users to Office 365 is likely worth a try. Adding Dropbox support to Office 365 apps (and vice versa) makes both applications more useful, and Microsoft loses little. At worst, it drops some potential OneDrive business; at best, it adds new Office 365 users and -- at least as important -- converts more existing Office users to a subscription model it can monetize in the long run. Microsoft can also give Dropbox users an excuse to switch to OneDrive, thanks to the way Office 365 and OneDrive are delivered jointly. The $6.99-per-month personal-use version of OneDrive includes Office 365 Personal, and the business version of OneDrive includes the full-blown Office Online for $5 per user per month. Dropbox, at $9.99 per month for the Pro version and $15 per month for the business version, has comparable storage offering -- 1TB for Pro, no limits on business -- but any applications on top of that are strictly what you bring. As Microsoft becomes more dependent on its cloud services and subscription-based products for revenue, it'll likely keep striking deals in this vein and justify them as "what's best for the customer." None of them is likely to be the deal that pushes Microsoft off its dependency on the legacy desktop, but every incremental bit helps. Plus, having Dropbox build a version of its app for the mobile version of Windows 10 means there will be one more app likely to enjoy wide use out of the box -- and help drive early adoption of the OS. 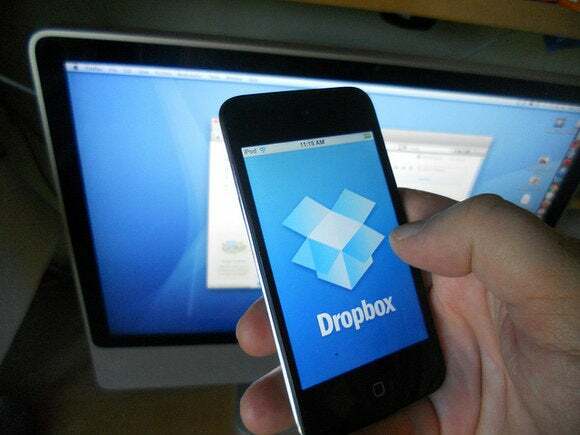 It's hard to deny that building Office 365 support into Dropbox and vice versa is a boon for users, but in the long run Office 365 -- and Microsoft -- stands to benefit most.